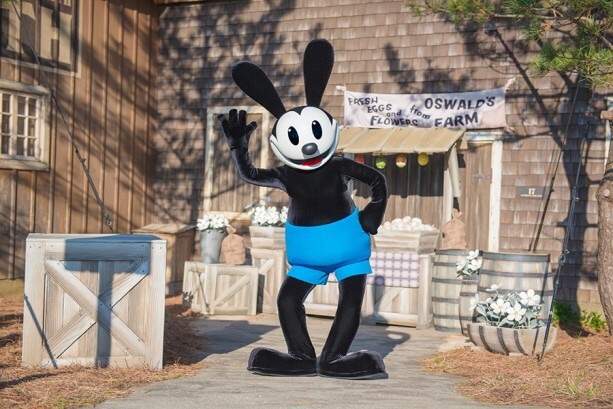 Created by Walt Disney and (now Disney Legend) Ub Iwerks, Oswald was Walt’s first hit animated character, who appeared in 26 shorts and was so popular that Oswald became the first Disney character to inspire a merchandise line. Unfortunately, Oswald was lost to another company in a business deal in 1928. But the loss of Oswald went on to be a blessing in disguise, however, as losing his most successful character yet motivated Walt Disney to create Mickey Mouse, who debuted on screen in late 1928. The Walt Disney Company regained the rights to Oswald the Lucky Rabbit in 2006, and in the years since, he’s begun greeting guests at Tokyo DisneySea and Disney California Adventure park. He can also be found on merchandise at Disney Parks around the globe. In addition to his theme park success, Oswald continues to be a fan favorite, especially for those who love Disney history. Previous Post010 August 26, 2015 – The Hall of PresidentsNext PostHappy Birthday Pluto!